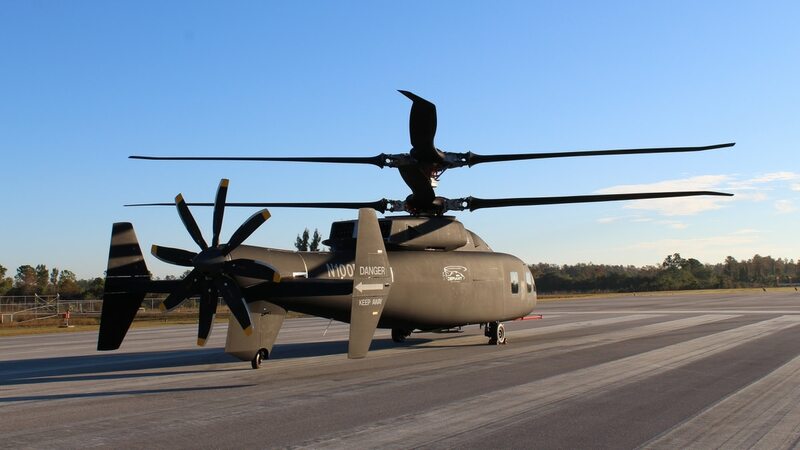 "Sikorsky and Boeing provided the first look at the Defiant helicopter, one of two designs competing under the U.S. Army's Joint Multi-Role technology demonstrator program, two weeks after confirming the first flight would be delayed until 2019. The Joint Multi-Role Technology Demonstrator effort will inform requirements for the U.S. Army's FVL family of systems, which will come online in the 2030s…." Just wondering if they have solved the vibrations issues with the compound main rotor. @Microgeorge: I'm assuming that is the 'issue discovered during ground tests' that delayed the first flight. Kinda surprising that this has 4-bladed counter-rotating main rotors (the Russian Kamov birds use 3-blade rotors), and that's an 8-bladed pusher prop! So for use with my 28mm near-future troops, I guess I want it in about 1:48 scale? Yes, 1/48 will be about right. I have several 1/48 helos (and even an Osprey!) for my 28mm games, minis on bases look about right to even a little tall.